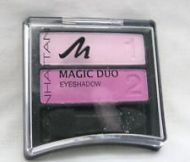 Buy discount Manhattan cosmetics, makeup and beauty products. Manhattan has a wide range of decorative cosmetics and innovative products including eye shadows, lipsticks or mascaras. Matching to the season and inspired by the latest fashion and lifestyle trends, Manhattan always introduces the latest look and most fashionable colours offering every woman the opportunity to emphasise her own individual beauty. Authentically and naturally!